This is an infection of the gums that support the teeth, and can be very dangerous and harmful when left untreated. 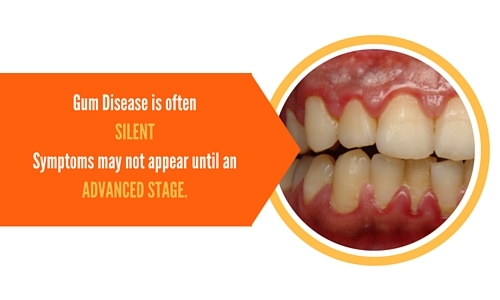 One of the biggest problems about gum disease is that if you lose them, your teeth will not be far behind. 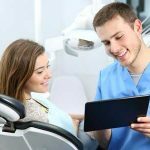 The CDC determined during 2012 that one out of every two Americans over the age of 30 has periodontal disease, which can be a very debilitating and progressive condition. Not only does it affect the gums, but in the most severe cases, also attacks the bones that support the teeth. It can have a close parallel relationship with diabetes and other forms of cardiovascular disease, and is usually much more common in men than women. To keep the gums healthy, they have to be completely clean, and not have a great buildup of tartar and plaque. When the harmful toxins that are known to irritate gums build up and produce bacteria, this unpleasant buildup is what causes the gums to become inflamed and uncomfortable. It is the pockets that form in the deep gum tissues as they don’t get the cleaning and attention they need that are a main cause of gum disease. 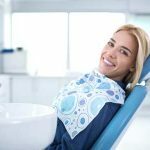 The worst part about gum disease is that when it reaches a certain threshold, it is no longer able to be ignored, and your overall bodily health can reach a tipping point of sorts. This snapshot here from the CDC has a wealth of informative information on gum disease and it’s causes. There are many things you can do that will increase your risk of gum disease. 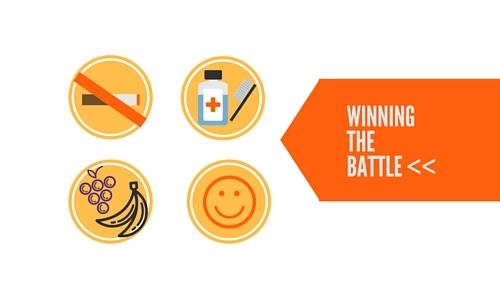 As with any health problem, minimizing the issues that contribute to a bad situation is key. Any element that you see here that you feel you could work on may greatly decrease your chances of having this happen to you, and keep you much healthier in the long run. 1. Smoking and chewing tobacco are two of the biggest culprits there are. It’s not just the nicotine within, the entire process irritates the whole mouth, and smokeless chewing tobacco has taken more teeth than many other toxins combined. 2. Diseases like diabetes also pose a large risk, because once affected, your body can have great difficulty healing quickly. Autoimmune diseases like HIV and Chron’s also have quite an effect, because they interfere with our inner sources of cell revitalization and healing power. 3. 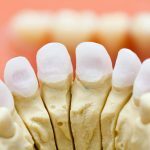 Predisposition and genetics are one of the elements that can really play quite a large role in whether or not you eventually get gum disease. If you find out by any means that you are one of the ones that have a tendency to develop something like this, you can help yourself with more frequent flossing, and watching your food and alcohol intake. 4. Pregnancy can play a big role in the ways in which the pendulum may swing regarding gum disease. 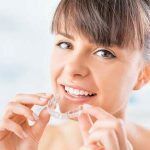 The hormonal changes that occur during this period can wreak havoc on the mouth and the entire body; this is one instance where you may find yourself much more vulnerable to the perils of gum difficulty. 5. Stress that is caused by many sources is one of the elements that our bodies find most difficult to fight off infections during. It begins with an elevated heart rate and trouble sleeping, but many other conditions follow suit when stress is a factor, and it is an element that our well being always has difficulty with. One of the best resources regarding gum disease and steps to prevention is The WHO’s oral health media center . Having a healthy diet, abstaining from tobacco use, and being in a generally safe physical environment will increase your chances of remaining free of gum disease. Flossing is nearly as important as brushing, and partaking in natural goods like avocado, turmeric spice, grapefruit seed extract, and bananas will help your body’s defense, as well as a steady supply of vitamin C. Gum disease is more common then abscessed teeth and infections; knowing the tools to combat it and not give it as much as chance to affect you are key elements in winning the battle.